An Electric Furnace is a type of furnace used for raising the temperature to an adequate level for a particular application or process. Meta Therm Furnace Pvt. Ltd is considered as one of the topmost Electric Furnace Manufacturers in Mumbai that have standard designs of furnaces available to meet your diverse needs. We have a fully-equipped facility to perform manufacturing and different tests under strict surveillance. Strong Construction: The offered Industrial Electric Furnaces are designed with robust materials and advanced technology, thus, have the ability to withstand challenging conditions. Superior Performance: The furnace is known for its superiority and safety features, which make it an ideal option to invest on. Also, they have a durable working life and ensure dependable performance. Available In Different Customizations: We don’t offer any standard design only, but our designs are designed as per the need of our customers. 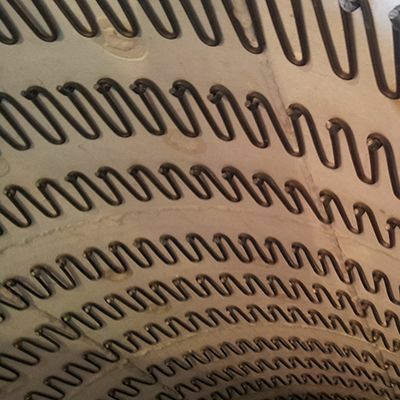 Our name has been renowned among the top-tier Electric Arc Furnaces Exporters and Suppliers In India. You can enquire about the furnaces we have, any particular specifications, as well as their prices, our executives would be happy to help you. So, be in touch now.